How should I preserve the Jamonify vacuum packaging? Jamonify is pure 100% acorn Ibérico ham hand-cut and vacuum packaged by our ham master artisans so it keeps all its purity until you open it. Even Ibérico ham can be stored for some time out of the fridge our advice is always to store it between 3-8 º C ( 37 to 46 º F) in a cold and dry place (fridge is perfect) for its perfect storage until you want to feast on it. ¿How shall I serve the delicious Jamonify, Ibérico Acorn fed ham? The time has come! Let´s enjoy Jamonify. Our first piece of advice is important: Patience pays. Ibérico ham is like a good red wine, it has to “breath”, so it is wise to open the packaging 30 minutes before you are going to taste it. The reason? Ham will be cold and during these 30 minutes it will be at room temperature, the fat very rich in oligoelements will begin to soften and the Ibérico ham will “breathe” filling the room with its delicious aroma, as a good wine does. Proceed to open the packaging but do not take the ham out. You have just taken out of the fridge and it is cold and compacted. The acorn Ibérico ham has an opaque shine, it looks like lifeless even “sleepy”. Now we will show you how to wake it up with love. You can reduce the waiting time if you put the packaging under running lukewarm tap water this way you are heating the packaging. 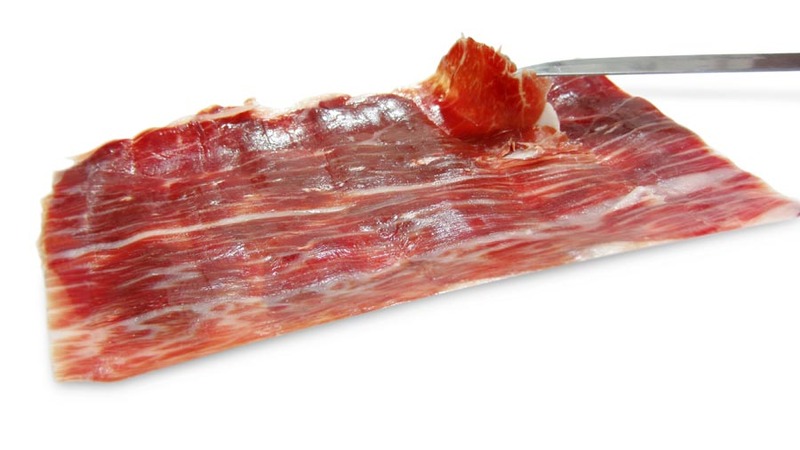 But please do not go too far, Ibérico ham is delicate and you can spoil it. What you have in you r hands is a delicious and delicate gourmet food. You can be sure the waiting will be worth. OK I will wait. But how can I be sure the Ibérico ham is ready to consume and enjoy it? I am sure you are now staring at your Ibérico ham, getting closer to enjoy its deep aroma and why deny it? Your mouth is watering. Be careful! Now you should resist temptation and wait for the perfect time. And you will think How much more time shall I wait? We have to remember the packaging is opened to let the Jamonify “breathe”. Allow us to give you two tips to know when your Ibérico ham is ready to be tasted. 1. - Tip # 1. Is the Ibérico ham shiny? If it is, that means the healthy fat of the ham is melting at room temperature. The Ibérico ham is “waking up”. Just wait a little bit longer. 2. - Tip # 2 (and final). Can you separate every slice of the ham easily? If you can do it that means the inner temperature of every slice is perfect to taste it at its best. We suggest laying the ham slices on a platter for your guest, although we know some of them will try to jump to the packaging to eat the ham directly not caring about the platter. 3. Tip # 3 What should I use toe at my Ibérico ham? We are sure you have heard about eating ham with toasted bread and squeezed tomato n the bread. We in Jamonify really love this recipe called “Pan-Tomaca” in Catalonia and “Catalana” in the resto of Spain but in our humble opinion you should not use pure acorn Ibérico ham for it but a lower quality of ham. As the purest acorn Ibérico ham in the world you should eat the Jamonify with your bare hands and on its own only you can eat some slightly toasted artisan bread nothing less and nothing more. This is our advice to taste the superb quality and flavour of Jamonify, but if you prefer any other traditional recipe, go ahead with it Jamonify taste will stand out. You should choose between the best wines to pair with Jamonify, if in doubt contact us and we will suggest you the best options. Not every wine, cava or champagne is worthy of Jamonify, we recommend you to drink a red wine aged between 3 and 5 years. Avoid drinking while you are eating the first ham slices. Acorn Ibérico ham is full of flavours and possesses an impressive aftertaste. It is really worth to leave your taste buds enjoy the fifth flavour, known as Umami. 5. Tip # 5. 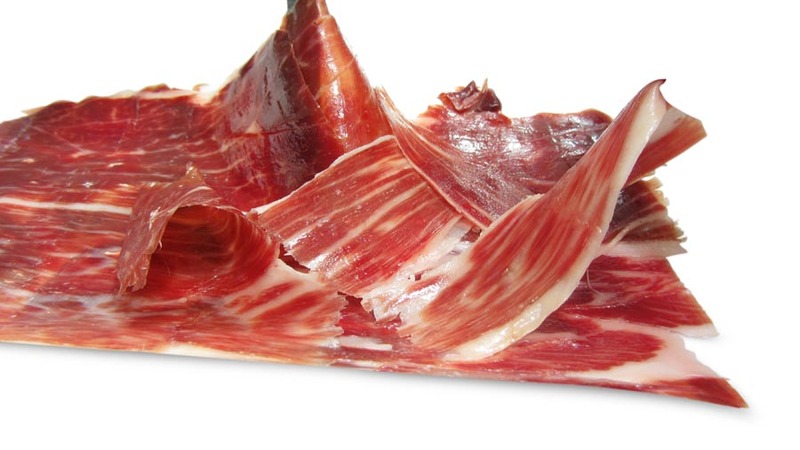 - Which food should I not use top air with acorn Ibérico ham? Speaking frankly you should not try top air acorn Ibérico ham with anything, not even toasted bread, red wine or champagne but we are quite sure you will do it. So the most important is the food you should avoid when tasting acorn Ibérico ham like aged strong cheeses as they will flood your taste buds with a very strong taste not letting you savour the exquisite taste of Ibérico ham. To avoid these type of mistakes follow this order with your guests first the platter of Ibérico ham, after having tried a few bites of Jamonify, serve the wine and the aged strong cheeses should come after a while. This same tip can be used for any other gourmet food you are serving your guests. In the case of Jamonify it is easy to remember best flavour comes first. Easy isn´t it? The first meeting with Jamón Ibérico.I'm not doing it regulary... okay... that was my first time at all when I ordered such thing. 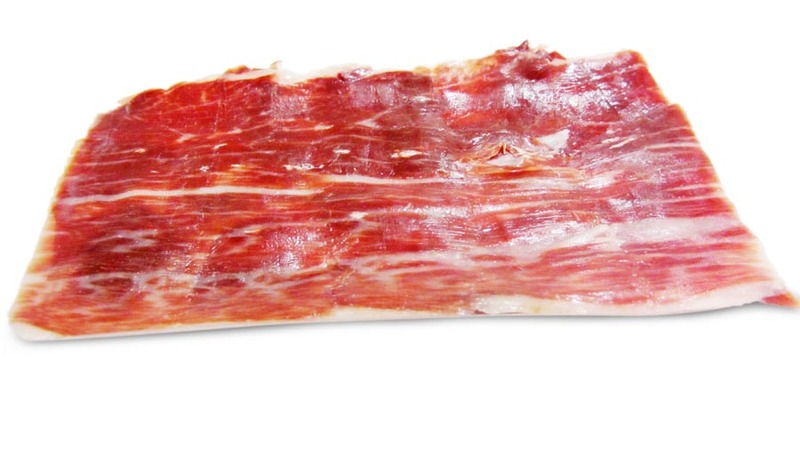 That thing was original Spanish ham called Jamón Ibérico, also called the finest ham in the world. Like I said, I did it for the first time. I like italian food, all kinds of pasta, tomatoes and cheese (especially mixed into one dish). But I was wondering about this ham for a long time. So I had choosed a shop (in Spain of course) which can deliver over whole Europe, picked a product and got a package next day (wow... that was fast! ).I have ordered this pack: http://www.jamonify.com/en/home/8-pata-negra-box.html There were 4 pack 80 grams each of spanish ham.First feeling was surprising - it was the best packed ham I ever seen. Of course I saw the package on their site but... it's a difference between seeing it on picture and keeping it in hands. Nice stiff box with an elegant ribbon and a thanks card inside.But let's get back to the ham. This ham is different in color, it's much darker than normal ham with a totally different facture. It has much more intensive smell than others, and of course has a totally different taste. I remember my first bite - it was a surprise, at first I felt ... wow ... it's good, it's something new, but after this I changed my mind, no... it's not for me, it is weird, next minute after this I started to think about... next bite. I don't know if it was my mind which was looking for any comparision or not... but I really felt 3 different states in a very short time.I won't tell about all bites I will just tell 3 things for those who had never tried such ham: - you will like it, you will love it, but some of you will need a bit time to know it - you will miss it few minutes after last bite (unfortunately it is true) - you won't buy normal ham for a long time, well... I can't, I just can't - IT IS NOT THE SAME!For the end - it is not cheap, of course it's not but if anyone is wondering if it is worth than stop wondering and taste it, you won't regret for sure.Bon appetit!